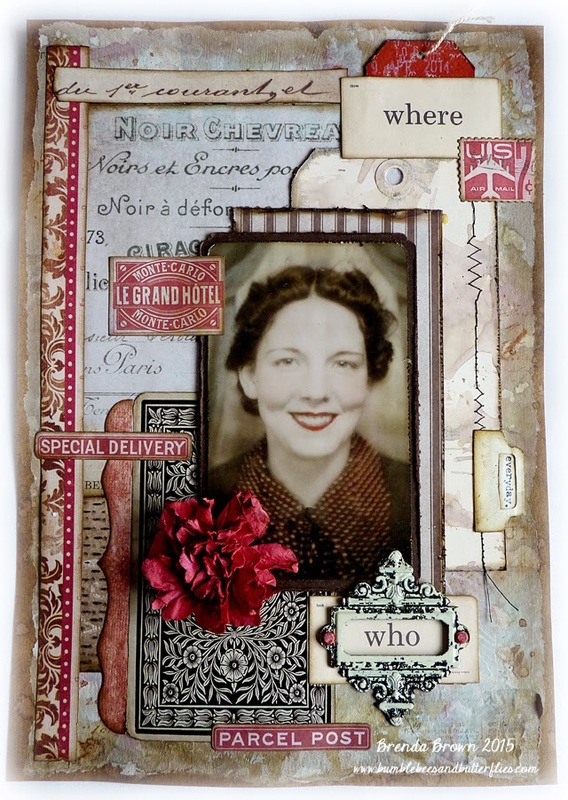 I am so excited that a dear blogging friend - Marjie Kemper - is sharing my altered clipboard on her blog today. My original post is here. Thanks Marjie, I am so pleased and proud that you feel this worthy enough to be included in your wonderful Tuesday Texture feature series and if any of you have not visited Marjie's blog and her Tuesday posts I recommend you hop over to MK Designs to see her amazing work and that of others that get featured from around the world. Oh, Brenda I am so happy for you! Your altered clipboard is the best one I've seen! Brilliant! Love all the details on your clipboard. Congratulations !!! You deserve it ! Congratulations Brenda, a very well deserved feature because your altered clipboard is wonderful! I've met so many new and talented artisans over at Marjie's blog, she is so generous to share everyone's work. LOVE this! The red and the old pic are wonderful! Just a gorgeous design! Of course Marjie loves it!!! Thanks for the shout out, Brenda. It's a pleasure to feature you and your beautiful work.